Ginny, is a pureblood, Harry is a half-blood. So thinking of it like a math problem, if आप put two 1/2s together, आप get a whole number. So, take Harry's half of magic (from James) and then take Ginny's half of magic. Put it together and आप get a whole. So why aren't their children purebloods? I would guess it's because Lily is a muggle-born. Lmao that's not how genetics work. If someone is half black/half white and has a baby with a 100% white person, that baby is then 75% white and 25% black. 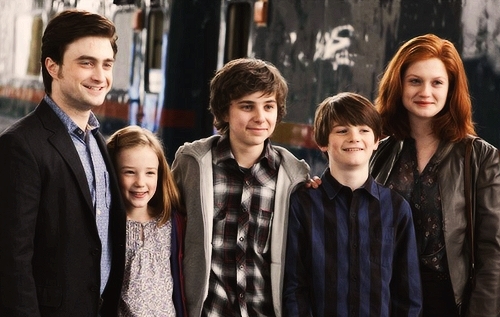 So really, Harry's kids should be quarterbloods. 4 Muggle grandparents makes someone a Muggleborn (so the child of 2 Muggleborns would also count as Muggleborn). 1, 2 या 3 magical grandparents makes someone a halfblood. All magical grandparents makes someone a pureblood. Lily, James, Arthur and Molly were all witches and wizards, so the 3 kids would be classed as purebloods. However, I guess there'd be some extreme pureblood manic wizards and witches who'd say any known Muggle ancestors, no matter how long ago, would make someone halfblood only. I was thinking this at first also, but Harry Potter Wiki says that Albus is a half-blood. It's a wiki. Anyone can संपादन करे it. It doesn't mean that all the content is automatically correct - sometimes the content even contradicts itself! In Harry Potter, half-blood is a term used to describe anyone who is between being a muggleborn and pureblood. It doesn't matter if the child is exactly 50/50 या if the ratio is और 25/75, like in Ginny and Harry's case. They're still half-bloods. Because maybe since Harry is Half-Blood, his kids became Half-Blood as well but Ginny is Pure-Blood so technically James, Albus and Lily should be Pure-Blood.